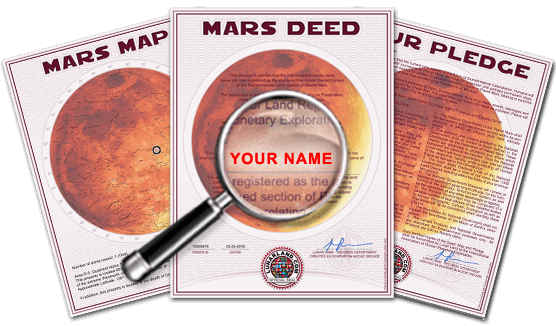 Become a Mars Land Owner today! It is true! 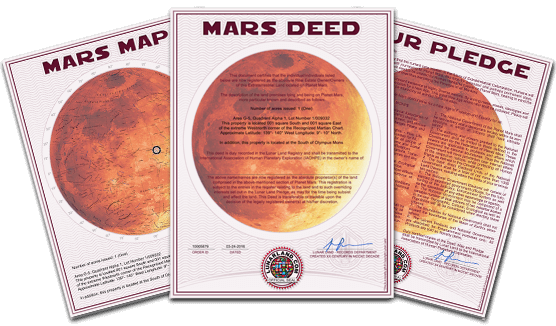 You too can become a Planet Mars Land Owner by purchasing acres of land on Planet Mars. LUNAR LAND company is the world’s most recognized Celestial Real Estate Agency and has been selling land on the Planet Mars for decades. Lunar Land is one of THE FIRST companies in the world to possess a legal TRADEMARK and COPYRIGHT for the sale of extraterrestrial property within the confines of our solar system. DON'T BE FOOLED BY PHONY LUNAR COMPANIES WITH NO CLAIM! What's Included in our Mars Packages? Enhance your Land on Planet Mars with these upgrades! All Planet Mars documents are packaged in an attractive, futuristic envelope designed to enhance the experience of gift giving. We custom print the name of the new Mars land owner on the Martian Deed. The perfect personalized gift idea for anyone! 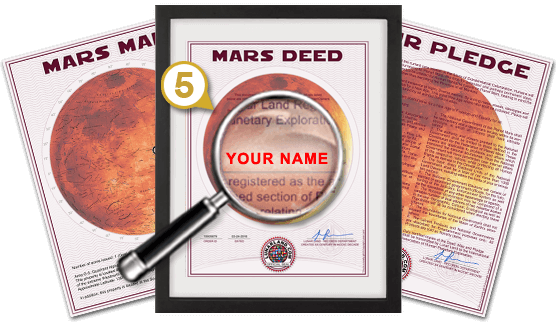 Display your Martian Deed in one of our elegant floating document frames. Each 11" x 14" high quality black frame comes delivered with your deed mounted between two glasses inserts. 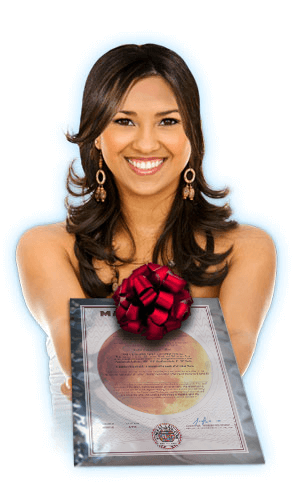 Planet Mars Land Is An Excellent Gift for Any Occasion! Give the top rated gift that is loved by over 250 very well known celebrities, more than 30 past and present members of NASA, 2 former US Presidents and over 5 million average everyday people from around the world. What could be more unique than giving someone an acre of extraterrestrial Land? For the average person, an acre on Mars is an excellent gift and great conversation piece. But many corporations such as Marriott have purchased thousands of extraterrestrial acres for investment purposes, exploration and future development. 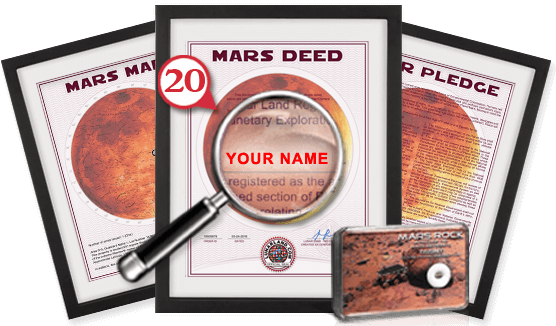 Join the official Lunar Land Registry buy ordering your land on the Planet Mars today. So what are you waiting for? Pick your Mars Land Package now!